Marinate prawns with ingredients except cooking oil, for 1 hour. Heat cooking oil and fry the prawns for 5 minutes. 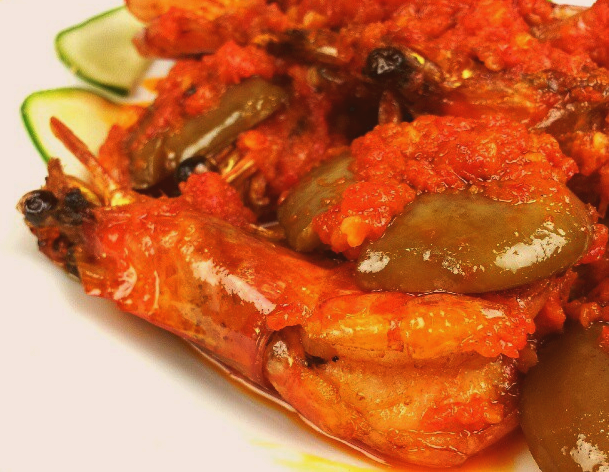 Remove prawns and pour sambal berlado over prawns. Grind ingredients together and boil for 15 minutes.